What is Research, Development and Engineering (RD&E) Management? As we have discussed in the past, different organizations include different processes and disciplines in Research and Development. We at InspiRD have started using Research, Development and Engineering (RD&E) as a generic term that includes technology development, product development and sustaining engineering. To understand the challenge, one first needs to recognize the distinction between the new idea (invention) and its subsequent commercialization through a product or service (innovation). This is important because, within established companies, the decision-making processes and logic governing inventions differ significantly from those governing commercialization. Engineering and scientific personnel typically drive inventions within new technological domains, whereas business development and marketing managers drive the subsequent commercialization. I am not sure if all R&D executives will agree with the definition of innovation, the ideas for organization structures seem to be quite valuable. “I can’t make out a growth story here. It’s good they’ve announced numerical targets, but you can’t tell how they’re going to achieve them,” said Kikuchi Makoto, CEO of Myojo Asset Management. There is also no clear roadmap here that can drive R&D planning or help achieve these goals. The full strategy presentation can be found here. 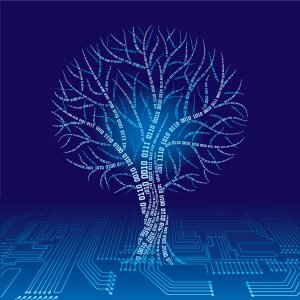 Another interesting article from MIT Sloan Review discusses how to develop unique strategies and plans. The article points out that many organizations follow strategic frameworks taught in business schools to formulate their strategies. …many deploy frameworks and models from the strategist’s toolbox — industry analysis, market segmentation, benchmarking and outsourcing. By jumping straight to generic game plans (such as cost leadership, total quality or product innovation), companies short-circuit the real work of strategy and miss out on finding new insights into the preferences or behaviors of current or potential customers. In a world of fierce competition and rapid imitation, companies that dare to be different capture our attention and our admiration. Some are globally recognized, such as Apple, Google, Tata, Virgin and Zara; others are less well known, or are niche or local players. Good strategies start from a distinctive point of view: for example, an insight into evolving customer needs or about how the world is changing. However, what are our unique beliefs or viewpoints? It is not easy to figure out what are an organizations true cultural traits that lead to success and what are just approaches that we have developed along the way. Consider the case of Ikea, the Swedish furniture retailer that continues to be highly distinctive almost five decades after its founding in 1963. Built on Ingvar Kamprad’s belief that he could “create a better everyday life for the many people” by providing affordable, good-quality furniture, the company grew internationally in the late 1960s and early 1970s by replicating what worked in Sweden.7 However, Kamprad and his colleagues didn’t fully understand which parts of their offering people actually cared about: Was it the expansive and customer-friendly showrooms? Was it the low prices and the products requiring relatively easy assembly? Was it the quirky Swedish product names and blue-and-yellow branding? Ikea’s repeated success in new markets it entered made executives wary of changing any part of the original formula. Differentiators are even harder to figure out in case of R&D. Many organizations make strategic decisions based on gut feelings without really having an approach to guide decision making. As we have discussed many times, most companies tend to develop product strategies without careful thought or experimentation. However, few companies manage to develop original strategies by formulating hypotheses and then testing them out in a competitive setting. It was only when the company experienced problems in Japan and the United States that executives undertook to sort out the truths and falsehoods and create a more flexible business approach. The article provides a new approach for discovering an organization’s discriminators by focusing on beliefs. Our perspective is built on two core premises: 1) that companies need a unique set of beliefs to stand out from the crowd, and 2) that some beliefs ring truer with customers and employees than others. Beliefs can take many forms, but the three most important ones are: 1) those that predict how the market will respond to the company’s strategic choices, such as a new technology or service offering; 2) those that predict how employees will respond to organizational and managerial choices, such as a more flexible or empowered working environment; and 3) those that predict how the future will be different, for example in terms of emerging consumer needs, new technological possibilities or shifts in the geopolitical system. The idea is that companies in any market segment will share some common beliefs. However, each organization will also have some unique differentiators or uncommon beliefs. Some of these beliefs are true and others are false. The true uncommon beliefs (uncommon sense) are key drivers of success. However, no one really knows the whole truth, so the article provides a unique perspective on how to use all beliefs to gain a strategic edge. The article suggest we could discover our uncommon true beliefs and focus on them. Or we could discard our uncommon false beliefs and again gain more strategic focus. We could also change the industry landscape by neutralizing commonly held beliefs. Or finally, we can exploit commonly held false beliefs to maroon competitors and gaining market share. So how does one actually find these beliefs in the first place? Once found, how does one evaluate whether beliefs are common or uncommon, true or false? It is very hard to do. I guess by constantly challenging the status quo, being entrepreneurial and encouraging questioning. May be we could focus on some innovation in management processes? Finding a distinctive place in a competitive marketplace can be extremely challenging. Studying and working with dozens of companies across a range of industries, we have found that it frequently requires willingness on the part of top management to examine and re-examine the prevailing industry norms — and from a variety of perspectives. So how do companies put ideas they develop through our process into action? Based on our experience, successful companies don’t just talk about their novel beliefs or make risky bets on unproven ideas. Instead, they rely on a deliberate process of experimentation. They turn one of their novel beliefs into an operational hypothesis and then test it in as low-risk a way as possible. The feedback they get from the market informs their further testing, ultimately shaping the company’s decision to make a tangible change. How can R&D Management help exploit Thematic Similarity? The article In Praise of Dissimilarity from MIT Sloan Management Review has very important implications for R&D management. The article describes how most managers view similarity based on functionality or product taxonomy (e.g solid state drives and hard drives are similar). However, another way to look for similarity is based on how different products interact in a scenario or event (e.g. shoes and mp3 players are related through exercise). This is called thematic similarity. The article points out that thematic similarity can help focus innovation and provide a competitive advantage. However, it also raises some important challenges for R&D management. Lets dig in. Whether explicitly or implicitly, the traditional understanding of “similarity” by managers has been a taxonomic one. Simply put, the degree of similarity as traditionally measured depends on the extent to which two objects possess the same features. Personal computers, for instance, all have hard drives, processors and a video monitor. Thus, taxonomic similarity is based on the properties of the objects themselves, and taxonomic categories cohere around shared internal properties. As a consequence, taxonomically related concepts tend to resemble one another. …similarity is not just a matter of degree (how similar are two things), but also of kind (how are two things similar). Two things are thematically similar if they functionally interact in the same scenario or event. For example, an athletic shoe and an MP3 player are related through interacting in a workout theme, coffee and a computer interact in an office theme and a navigation system and a motor via an automobile theme. In each of these cases, the two things perform different roles. When managers ignore the thematic similarity hidden behind taxonomic dissimilarity, they risk overlooking opportunity (as well as misdiagnosing threat). The behavioral theory of the business enterprise has long acknowledged managers’ dangerous tendency to search for opportunity in familiar taxonomic domains. Thematic similarity opens up a new area of the dissimilarity space. While Google Maps and Yellow Pages are taxonomically similar services, another Google service, Google Voice Search, and GPS are clearly in taxonomically dissimilar categories. And yet there is a thematic similarity between the two in the context of using cell phones. The new area of thematic similarity holds particular promise for innovation and opportunity search. Focusing on areas of taxonomic dissimilarity can help managers identify novel products or services that result from the combination of strategic assets that are taxonomically dissimilar but thematically related. This distant (in taxonomic terms) yet close search for opportunities created by thematic similarity provides a pragmatic guide to how (in which domains) strategists can find new potential for competitive advantage. Taxonomic similarity underlies key frameworks of management such as strategic relatedness, the Standard Industry Classification (SIC) system, the definition of industry boundaries, including the forces within that industry, and the International Patent Classification (IPC). For example, the IPC category F02 (combustion engines) contains internal-combustion piston engines, gas-turbine plants, jet-propulsion plants and so on. But true exploitation of thematic similarity will require management innovation. We will need to develop new tools and processes to decide which thematic similarity to explore and how much to invest in it. One example provided by the article focuses on the integration of GPS technology with cameras. Thinking thematically, this would be pretty straight forward marriage. However, in reality, this very hard to do. The skills necessary to design cameras are very different form those required to design GPS receivers. Even if we can get the two technologists to brainstorm together, actual collaboration though workshops would be rather difficult. For managers, resource allocation for such development would be even more difficult. One approach would be to have detailed roadmaps that can be used to engender purpose driven communication between the two groups and portfolio balancing processes that effectively allocate resources for such activity. …consider an extreme case in which two products are so strongly associated that they are combined in one product but not thematically integrated. Many cell phones sport a camera function and a GPS function. However, the GPS and camera functions have not been integrated in most phones, despite sharing a thematic similarity: Many photos are about places, just as GPS is about places. Thematic integration links these two functions, allowing users to “geotag” the location at which a photo is taken. Google only openly acknowledged the threat posed by Facebook on November 1, 2007, when it launched Open Social, Google’s own social networking platform. In other words, Facebook remained a noncompetitor for Google for more than three years and six months after Facebook’s launch. In fact, Google managers actively dismissed Facebook precisely because it did not fit Google’s taxonomy of activities. Google CEO Eric Schmidt said, “We have address books, and the sum of our address books is the social graph.” And it was not until February 9, 2010, that Google acknowledged the thematic similarity between social networks and e-mail by making a determined foray into exploiting the integration of social networking and e-mail by launching Buzz, a networking service that was closely integrated with its e-mail offering, Gmail. We will also need new strategic planning processes that can identify competitive threats from thematically similar firms. More importantly, we will need a better approach to evaluate those threats and find effective ways to respond to those threats. Finally, thematic similarity can be used to find acquisition targets. The article points out that Intel believes it acquired McAfee based on thematic similarities. The problem is that McAfee’sbusiness model is so different from Intel’s that integration of the two will take a very long time. Actually, Intel and McAfee are remarkably similar thematically. According to Intel, the acquisition of McAfee would boost its strategy in mobile wireless, where it is beginning to produce chips for smart phones. Beyond smart phones, security is becoming a key requirement as new devices, from tablet computers and handsets to televisions and refrigerators, connect to the Internet. The purchase is therefore set to turn Intel, the world’s largest chip-maker, into a leader in security, extending its reach into Internet-connected devices. While experts hope that chips can be improved to make them able to withstand malicious attacks, that prospect is seen as being years away. Even with time, I am not sure how easy or valuable this integration will be. May be there is a limit to how much taxonomically dissimilar firms can be before they can no longer be merged effectively. Furthermore, if integration is going to take many years, can we actually forecast how the market place will function at that time? A few more questions than answers, but still a very useful concept. When Steven P. Jobs returned to Apple 1997, he returned to a slew of ill-conceived product lines. Some were excessive, and some were downright silly, but many were ultimately killed off for their poor alignment with consumer needs and wants. Still, even with Jobs’ discerning eye, he wasn’t immune to having to deal with a few bad product decisions. 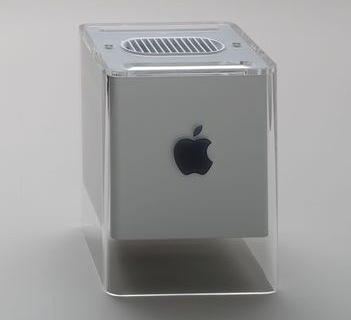 The Power Mac G4 Cube, a computer suspended in a clear plastic box, was designed by Jonathan Ive and released in July 2000. The Cube sported a 450MHz G4 processor, 20GB hard drive, and 64MB of RAM for $1,799, but no PCI slots or conventional audio outputs or inputs, favoring instead a USB amplifier and a set of Harman Kardon speakers. The machine was known in certain circles as Jobs’ baby. While Apple hoped the computer would be a smash hit, few customers could see their way to buying the monitor-less Cube when the all-in-one iMac could be purchased for less, and a full-sized PowerMac G4 introduced a month later with the same specs could be had for $1,599. Apple attempted to re-price and re-spec the Cube in the following months, but Jobs ended up murdering one of his own darlings, suspending production of the model exactly one year after its release. While the Cube’s design is still revered (it’s part of the MoMA’s collection), it proved consumers won’t buy a product for its design alone. 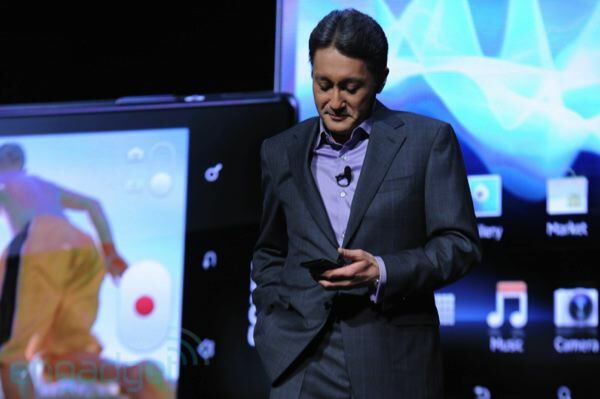 As important measures that Hirai will take as a CEO, he mentioned (1) reinforcement of Sony’s core business, (2) rebuilding of its TV business, (3) reformation of its business portfolio and (4) acceleration of innovation. Focus on the core business means become number one in digital imaging and grow in mobile phones. In TV Sony wants to move away from the difficult LCD market (See the Economist for some background) to hopefully higher margin OLED and Crystal LED TV. The thought about OLED is interesting in that Sony just quit consumer OLED TV market (See Engadget). 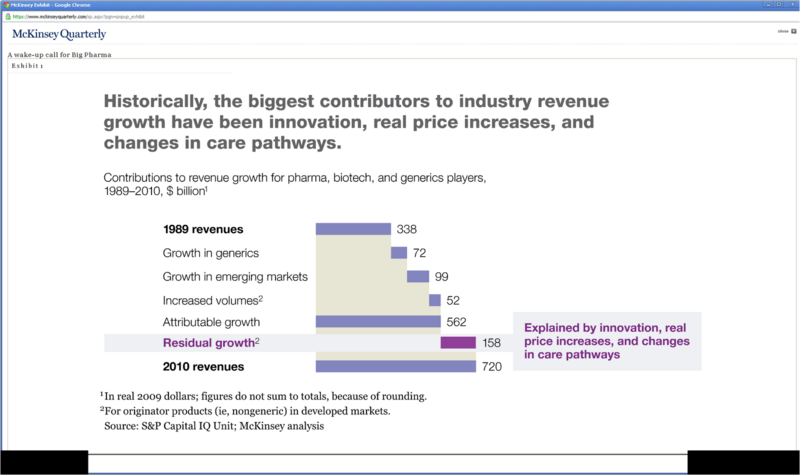 Acceleration of innovation seems to mean focus on medical markets! We should see how this turns out. The good old days of the pharmaceutical industry are gone forever. Even an improved global economic climate is unlikely to halt efforts by the developed world’s governments to contain spending on drugs. Emerging markets will follow their lead and pursue further spending control measures. Regulatory requirements—particularly the linkage among the benefits, risks, and cost of products—will increase, while the industry pipeline shows little sign of delivering sufficient innovation to compensate for such pressures. The article suggests that the pharmaceutical industry might evolve away from vertically integrated model like the automotive industry. A look at the evolution of the automotive industry may offer some lessons. For many years, it was vertically integrated and dominated by large, primarily Western corporations. But the value chain has been disaggregated into companies specializing in narrow parts of the process. Today, component manufacturers, design houses, and basic-materials companies share much of the industry’s revenues: the automakers are responsible primarily for the design of major components (such as engines), assembly, sales, and marketing. This whole article is a very interesting read. I suggest you consider reading it. Collaboration among firms for innovation has received considerable attention. However, little is known about how firm-to-firm collaboration is configured in new service development (NSD) versus new product development (NPD). The article measure the impact of 1) Good processes / communication vs 2) Good relationship / trust. They find that collaboration on products is more effective with good processes while collaboration on services is more effective with trust. Probably makes sense: Services are inherently unprotectatble and trust is needed to ensure the partner plays well.